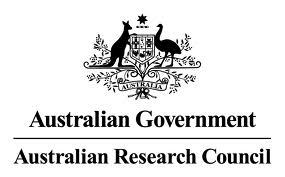 The Australian Research Council (ARC), a statutory agency within the Australian Government’s Department of Industry, Innovation, Science, Research and Tertiary Education portfolio has introduced open access policy for ARC funded research which takes into effect from 1 January 2013. With the mission to deliver policy and programs that advance Australian research and innovation globally and benefit the community, the ARC’s Open Access Policy is being implemented to ensure that the findings of publicly funded research are made available to the wider public as soon as possible. The policy says that the ARC supported research project must be deposited into an open access institutional repository within a twelve month period from the date of publication. Even if the article is openly accessible via the publisher’s website or via a service, it should also be submitted to your institutional repository. This ensures, the availability of the articles at the Australian Institutional Repositories. We hope that in future all the Research and Development funding agencies in India too formulate their Open Access Policies for making available all the public funded research to the wider public. Similar to the Open Data Portal of India, a common portal of all the Institutional Repositories may soon be established.